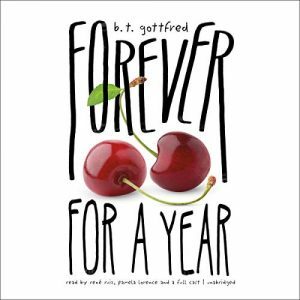 Audiobookworm Promotions is organizing an audiobook blog tour for Forever For A Year, a Young Adult Romance novel from Author B.T. Gottfred and Forever Young Audiobooks. The tour will run from Apr. 25th-May 1st and will have a maximum of 10 stops. Signups end on April 18th. Forever For A Year is narrated by Rene Ruiz and is 9 hours and 39 minutes in length. Reviewers will receive complementary digital copies of the audiobook via MP3. Review copies will be distributed by Mar. 31st. Reviews do not need to be of at least 3.5 stars. Post options for this tour include: Reviews, Spotlights, and Music Playlists. BT Gottfred is a screenwriter, producer, director, playwright and young adult novelist. His third book, THE HANDSOME GIRL AND HER BEAUTIFUL BOY, was just released on May 8th by Macmillan/Holt. His debut novel, FOREVER FOR A YEAR, was followed by THE NERDY AND THE DIRTY. 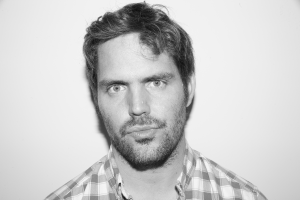 Brad wrote and directed the critically acclaimed play WOMEN ARE CRAZY BECAUSE MEN ARE A**HOLES that played to sold out audiences for over four years in Los Angeles, Chicago, and New York. He wrote and directed the digital series THE BOONIES, which premiered on go90 in 2017. Gottfred also wrote, directed, and executive produced the feature film THE MOVIE HERO, which played at over 20 film festivals worldwide, winning numerous awards including the Audience Award at the Austin Film Festival. In June, 2017, Gottfred co-founded the film/tv/digital production house BOLD SOUL STUDIOS with new media pioneer Corey Moss. Their first feature, CONFESSIONAL, which Gottfred directed, will come out in 2019. Rene was inspired to be a performer at an early age growing up in Austin, TX. 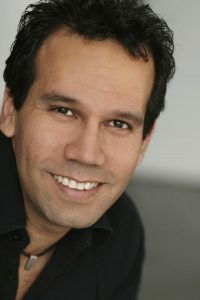 He studied Music Education at the University of Texas and has won acclaim in local productions and musical revues including roles in WEST SIDE STORY, A CHORUS LINE and FOREVER PLAID. He relocated to Orlando, Florida where he began a long stint as a featured actor, singer and emcee/announcer for the Walt Disney World, Co. In his role as emcee/announcer, Rene recorded park announcements and hosted several live shows at the Disney/MGM Studios and EPCOT including the MONSTER SOUND EFFECTS SHOW, SUPERSTAR TELEVISION, and the INDIANA JONES EPIC STUNT SPECTACULAR. He was also an interviewer for hundreds of visiting celebrities including Madonna, Britney Spears and Ann Margret. As a singer at the parks, Rene sang with several of the acappella groups in the parks including the world-renowned VOICES OF LIBERTY at EPCOT and the male quartet FOUR FOR A DOLLAR. He also performed with the Hollywood Hi-Tones, a 50's doo-wop quartet based at Universal Studios Orlando. He has spent much of the last ten years performing with TOXIC AUDIO, an acappella concept show he created and directed in 1998. In 2004, the show opened Off-Broadway and quickly won the Drama Desk Award for Unique Theatrical Experience. He has toured the world with the show performing in New York, Las Vegas, Japan and Barcelona. The group still performs around the world as VOX AUDIO. While in Las Vegas he worked with BARRY MANILOW- THE HITS at the Las Vegas Hilton and hosted the $1,000,000 VEGAS GAME SHOW at the Planet Hollywood Resort and Casino. He has recently recorded several audiobooks for Audible.com and freelances as a performance coach, studio session singer, improv comedian and stage director. Mar. 31st: Review copies are distributed. Apr. 18th: Media packets are distributed via email.